From temporary banners to permanent dimensional signs to fleet graphics, Midtown Signs can provide for all of your business signage needs. Signs are one of the most important aspects of your business. More than any other form of advertising, a business sign has the best return on investment. A tool used for long-term marketing, reinforcing your brand, and gaining new customers. We can help you create a sign that will make you stand out from your competition. Signs build trust, brand loyalty, and legitimacy. Let’s start planning today! There may be more details than you think so it's best to get ahead of the game. Our team can help your business do that. the easier the process. Sign type, photos of the install site, time frame, the whole 9 yards. It’s important is to start with a great design. We'll make or use your existing artwork and put it into place as a visual mock up. We'll send it over along with an estimate. 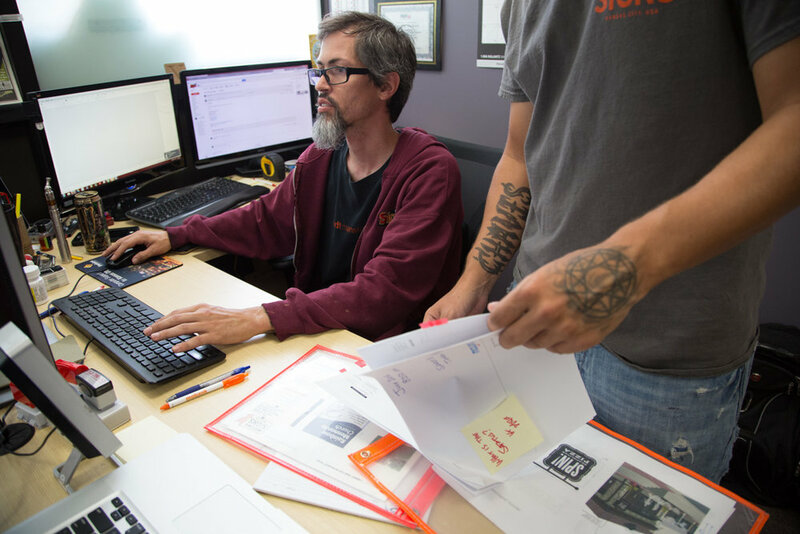 Once you've signed the dotted line of approval, we'll send it into production and schedule delivery or installation. We work with the best installers in the biz. 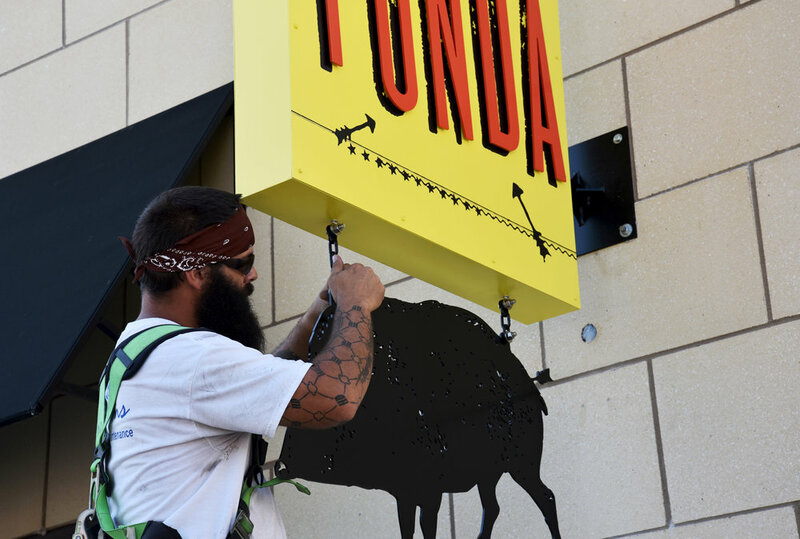 A creative, attractive sign can help your business stand apart from the competition. According to ChamberofCommerce.com, customers are more likely to purchase from a business they have already heard of, so a sign can help plant the seed for future sales. A sign simply creates another touch point with a consumer. Touch points occur any time a consumer comes in contact with a brand or product. A company wants all touch points to be positive, so that consumers will not only remember a brand or product, but remember it in a positive light. 158+ years of combined experience. 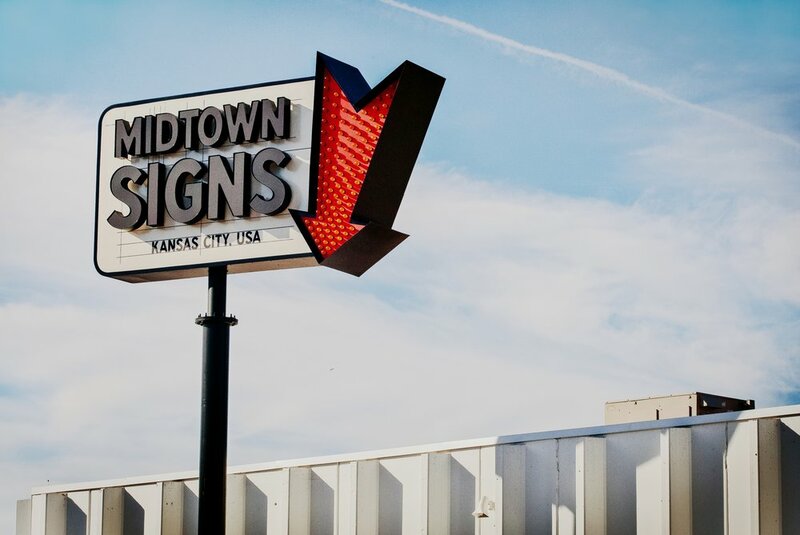 When we get up in the morning, Midtown Signs is looking to make something. 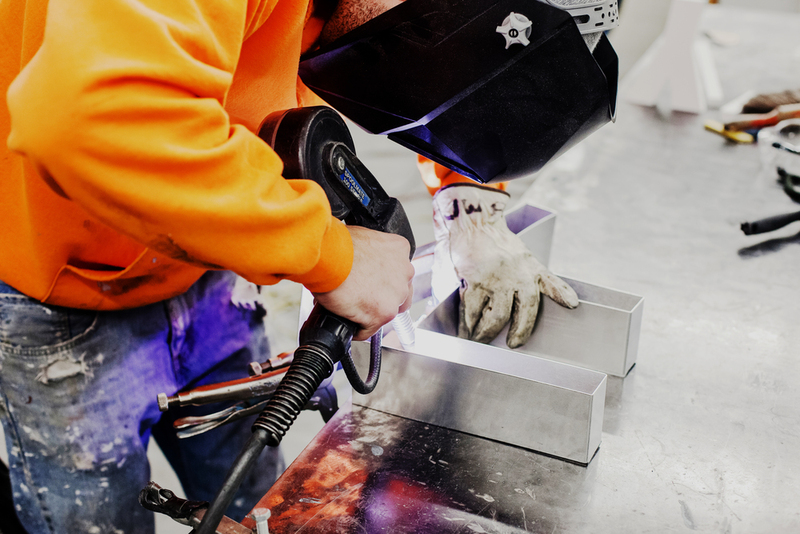 Our fabrication department is top notch with the knowledge and the experience to work in a broad range of materials, tools and assemblies. Let our craftsmanship make what you are thinking. Finishing is 90% prep and 10% painting or staining. We like to get everything perfect before we spray a liquid coat. Midtown Sign's state of the art paint booth and top-notch coatings have you covered. You pick a color and we will match it. 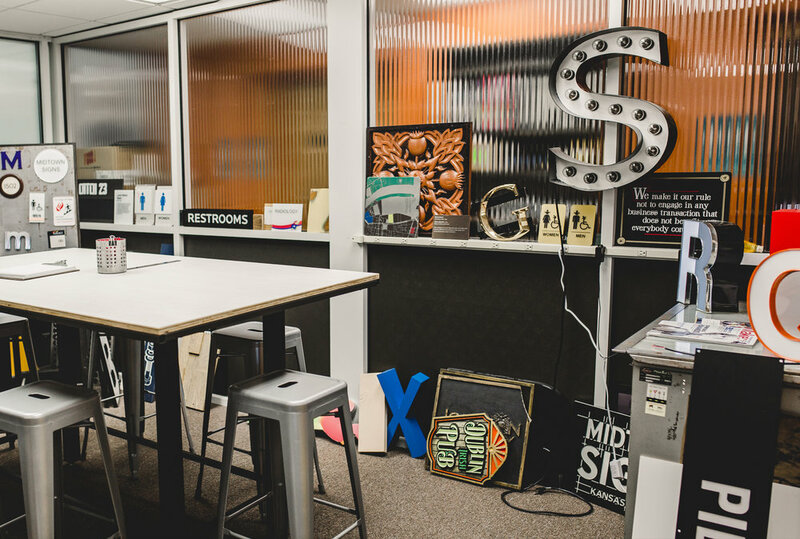 Over the past decade, we have concentrated on fabricated signs, and over the past few years, directed a lot of capital and manpower at our graphics department. 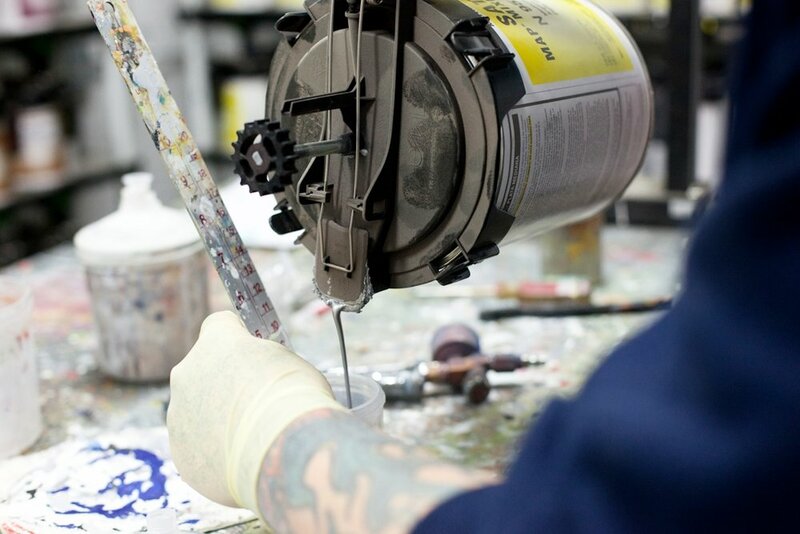 With a latex large format printer, laminator, vinyl plotter and decades of graphics know-how.